Spring is just around the corner and we’re already thinking bright colors! This collection of pocket squares is just what we need to bring us to the March Equinox and onto warmer days. Whether planning a spring wedding or just needing an outfit pick-me-up, these solid men’s pocket squares offer a little something for everyone. Class up your office suit with an easy color addition to your pocket. 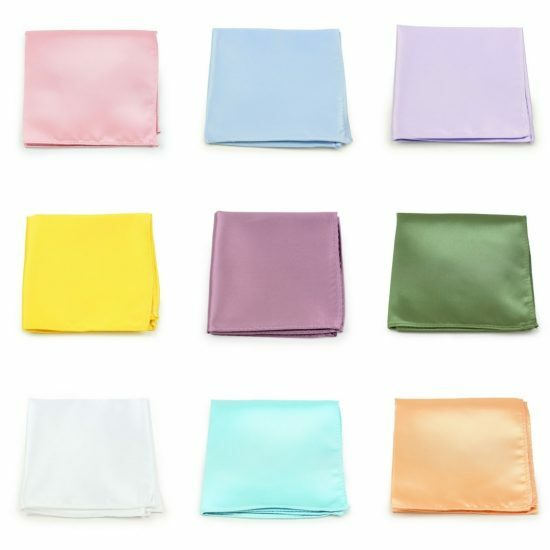 Starting at $4.95, these hankies are quite the deal for an easy fashion upgrade.